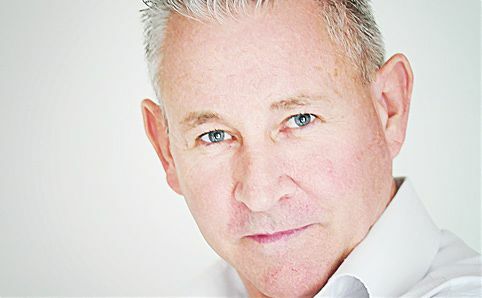 Born in the UK, comedian-hypnotist Alan Bates has been in the business for more than 20 years. He first became interested in the art when he watched a hypnotist do a show on board a cruise ship he was working on in the Caribbean back in the 1980s, and was instantly spellbound. As he returns to Singapore following his sold-out show here in 2009, he tells Gwen Pew a little bit more about what audiences should expect from his show. Are you ready to trust your mind with this man? Image courtesy of The Comedy Store Singapore. 25 Oct 2013: ‘Most people can be hypnotised, but you cannot be hypnotised against your will. The textbook says that under hypnosis you cannot get a person to do anything against their moral values – that’s why I look for people without any values [laughs]. Only joking! ‘We take volunteers from the audience, and they have a great experience. The people who make great hypnotic stars on stage are people with disciplined minds, as this is when the colourful side of their character shines through. However, it’s always healthy to have sceptics in the audience, and by the end of the show their minds are usually totally changed after witnessing regular people doing mind-blowing show routines and out-of-the-box behaviour. ‘The content of the show is decent and respectable, but cheeky with a lot of surprises. [Convincing an audience member that they’ve won] the lottery is always a classic. It’s also fun to have two people on stage – one believes he is from the planet Mars and only speaks in the Martian language (or the way he thinks they speak) and the other is a Martian language expert from Earth who translates for me. It’s guaranteed to have the audience rolling over with laughter. 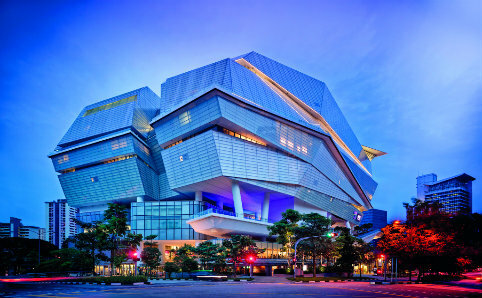 Established in 1979 by former Singapore President Ong Teng Cheong (then Minister for Culture), the Cultural Medallion is given to the country’s most prominent artists in the fields of dance, theatre, literature, music, photography, art and film. Gwen Pew talks to this year’s three recipients, who received their awards at the end of last month, to find out about their career highlights and what’s next for them. Cultural Medallion Ivan Heng, the artistic director of local theatre company Wild Rice. 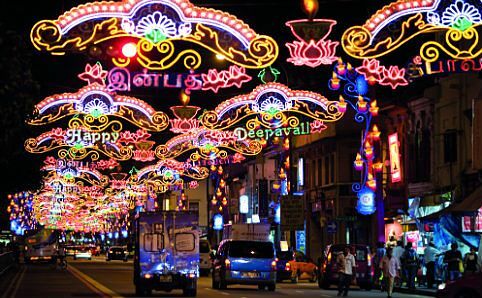 Image courtesy of the National Arts Council. Born in 1963, Heng graduated with a law degree from the National University of Singapore but soon decided that his true calling in life was theatre. He went on to build up an impressive resume working with everyone from local theatre pioneer Kuo Pao Kun to the Hong Kong Tang’s Opera Troupe, and flirting with ballet and Shakespeare in between it all. The awards poured in, and the actor-director founded W!ld Rice in 2000, which is now one of the largest theatre companies in Singapore. As the music director of the Singapore Chinese Orchestra, conductor laureate of the Hong Kong Sinfonietta and music director of the South Bend Symphony Orchestra, Yeh is the first person to be leading a major Chinese and Western symphony orchestra simultaneously. Born in Shanghai in 1950, he joined the SCO in 2002 and has since taken the company from strength to strength with his innovative vision, with numerous performances every month. A prolific writer who often centres his works on the struggles faced by the Malay community after Singapore gained its independence, Mohamed, 63, has produced a number of influential poems, short stories and novels. He is a three-time winner of the Singapore Literature Prize and some of his most notable works include Confrontation and Ziarah Cinta. We adore them for their ability to make us giggle the night away – but things don’t always go smoothly for stand-up comedians. Here, Gwen Pew got the five superstars in The Comedy Club Asia’s upcoming Kings & Queen of Comedy Asia 4 to tell us about their most embarrassing moments on stage (and their favourite jokes!). 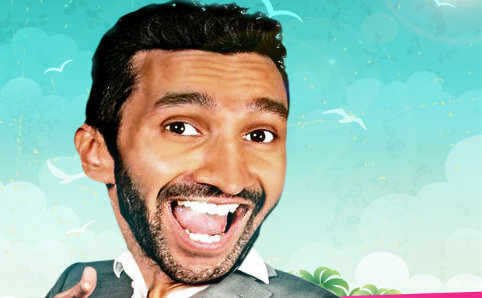 UK comedian Imran Yusuf, in the form of a bobble-head. Image courtesy of Comedy Club Asia. Favourite joke? A guy walks into a bar and orders a bourbon and Coke. He says to the bartender, ‘I really shouldn’t be drinking this with what I’ve got.’ He then orders another and says the same thing. This happens two or three more times until the bartender finally asks, ‘Mate, what have you got?’ The guy replies, ‘A dollar fifty’. Favourite joke? Why did the bicycle fall down? Because it was ‘two tired’. For its sixth edition, the World Architecture Festival (WAF) will be held at Singapore’s Marina Bay Sands this year as structures across the globe compete for the prestigious awards. Having bagged four WAF prizes in 2012, our Little Red Dot has over 40 buildings nominated in 29 categories this time around. 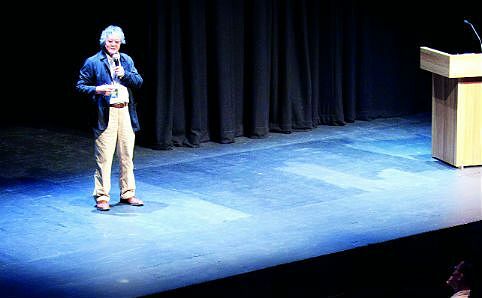 Here, the festival’s programming director, Paul Finch, tells Gwen Pew his thoughts about five of them. The Star Vista shopping mall at Buona Vista. Photo courtesy of the World Architecture Festival. With All Hallows Eve creeping up on us this month, Gwen Pew and Maddison Capuano round up the best events where you can be scared silly. Zombies celebrate the season of the (un)dead! Image courtesy of Universal Studios Singapore. One of the newer attractions on Sentosa, 4D AdventureLand is offering three special Halloween options this month. On top of their usual rides Journey 2 the Mysterious Island, Extreme Log Ride and Desperados, which will be showing from 10am to 7pm, visitors can experience after-dark shows as well. Hold on tight in a motion-based capsule and try not to get engulfed by your host-turned-monster in Panic House, or sit on one of the 20 moving saddles and enter a virtual game to slay zombies in The Grip of the Undead. A special Halloween maze called Trapped will also take place on selected evenings (see website for schedule) – escape if you can! Sentosa 4D AdventureLand 51B Imbiah Rd (www.4dadventureland.com.sg). HarbourFront. 10am-9pm. Children aged three to 12 $26.90, adults $38.90, includes unlimited access to the rides throughout the day. For the third Halloween running, Universal Studios Singapore is taking on a makeover in honour of all things terrifying. The theme park will be riddled with a number of haunted houses and mazes, designated scare zones and photo ops all designed to get your heart racing. This year, the central characters are three witches who have reincarnated as the ominous Daughter of the Undead, Maiden of the Opera and Crone of the Forest. The event is also perfect for those of you who can’t be bothered to dress up – masks and costumes are strictly prohibited here. Universal Studios Sentosa. (www.halloweenhorrornights.com.sg). HarbourFront. 7pm-1am. $68. Organised by *SCAPE with Movie Mania and Singapore Polytechnic, this scare fest returns for its fourth edition. This time, the storyline follows the vengeful spirit of a woman who was murdered by her sister before her wedding night, and participants will have to slither through a maze with seven realistic dioramic sets showing haunted places around Singapore – and pray that they won’t end up with the cursed wedding ring. Also look out for the Horror Workshop, which teaches you how grisly props are made, and take part in their Gruesome Photo Contest for prizes. *SCAPE Warehouse Level 2, 2 Orchard Link (www.museumofhorrors.com.sg). Somerset. 6-11pm. $17-$20. Once upon a time, we’re told, two radio DJs were murdered and one went missing in their studio after what initially appeared to be a power cut. No one ever found the culprit, but there are rumours that the studio is haunted… This Halloween, you will be given the task of entering the studio to find documents to prove what happened to the DJs – or else you will be trapped inside and become ghost-food. Each team can have a maximum of three brave souls, all of whom must be at least 13 years of age. Chat Chat Media 30B Smith St (www.chatchatmedia.com/halloween2013). Chinatown. 7.30- 11pm. $48. Sentosa and Thai movie production studio GTH are teaming up to bring five Thai horror films to life this Halloween. Through five haunted trails, guests are confronted with reenacted scenes from the films – namely Coming Soon, Shutter, Pee Mak, Body and Dorm – and are given tasks they must complete in order to ensure they survive the night, including finding all the body parts of a butchered corpse (gloves not provided) and bringing peace to the spirit of a schoolboy who died after falling down a well. Fort Siloso, Sentosa 33 Allanbrooke Rd (www.spooktacular.com.sg). HarbourFront. 7-11pm. $66.60. 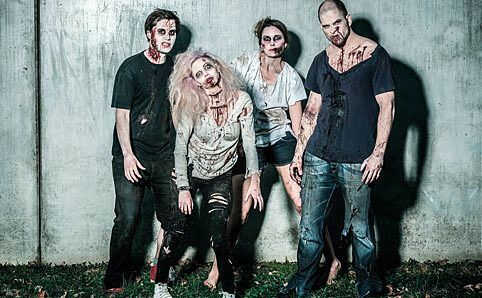 This 5km dash across Sentosa will see you pitted against the flesh-hungry undead. At the beginning of the race, each runner is presented with two life-tags and must try and make it to the safe haven with at least one of these intact. Not only will this run test your fitness and speed – you will also be confronted by a whole host of obstacles and, of course, attacks by zombies coming at you from all sides. However, the fun doesn’t end once you cross the finish line, and even those who don’t survive the course can enjoy the live music and games happening during the evening. If you’re looking for more zombie action even later in the night, head down the street to Wave House on 26 Oct for the Zombieland afterparty, complete with DJs and dancers. 120 Tanjong Beach Walk (www.racethedead.sg). HarbourFront. 8am-8pm. $79.90. Forget zombies, witches and things that go bump in the night – the most deadly monster out there is your packet of cigarettes, according to X-Out Singapore, who will be hosting Asia’s first and only anti-smoking carnival this Halloween. There will be a number of games and activities to get involved with, such as an anti- smoking playback theatre, as well as the bloodcurdling Cigarette Path of Regret. This horror maze illuminates all the evils of smoking and aims to convince you to quit before it’s too late. Singapore Expo 1 Expo Dr. (www.x-out2013.wix.com/home). Expo. 11am-9pm. $20. Are you brave enough to let the ghastly monsters under your childhood beds come out at last? Then join MoonShadow Stories on the night of All Hallows Eve itself as Kamini Ramachandran, Verena Tay and others tell you local tales that nightmares are built on, involving characters like the bomoh [witch doctor] and toyol [poltergeist] from traditional Malay folklores. The Arts House 1 Old Parliament Ln (www.moonshadowstories.com). 8-9.15pm. $25 (www.bytes.sg). 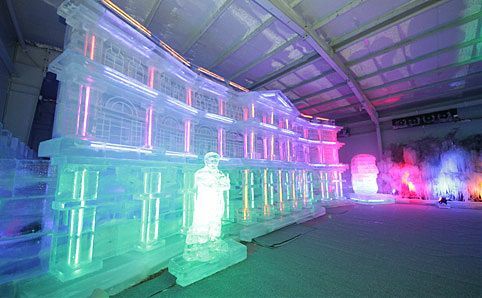 The only festival dedicated to architecture in the country, Archifest is back this month for its seventh year. Organised by the Singapore Institute of Architects (SIA), the festival features three weeks of events, with the theme ‘Small is Beautiful’ – celebrating projects that are small in size but large in ambition and impact. A group of people take photos at last year’s Architours. Image courtesy of Archifest. 16 Sep 2013: The centrepiece of the event is the zero-waste Archifest Pavilion, which was designed by RSP Architects Planners & Engineers following a competition in June and serves as the main hub for the event. The Archifest Conference (1 Oct) sees a string of influential speakers who will share their ideas on building design, and the festival will close with an Urban Picnic (12 Oct) complete with performances. For those of you who want to get a bit more involved, the popular Architours is your thing. 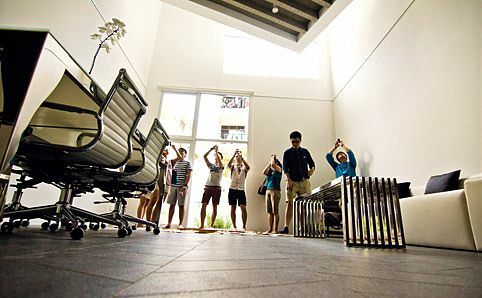 Organised by The Architecture Society at NUS, professional architects and students will be taking visitors into various buildings around town on 13 separate trails. Here, Melvin Lew, president of The Architecture Society, shows us three buildings that are part of this year’s Architours. A new show opens at the Malay Heritage Centre this month to educate visitors about the history and properties of Traditional Malay Medicine. Gwen Pew hears what Suhaili Osman, the curator of the exhibition has to say. 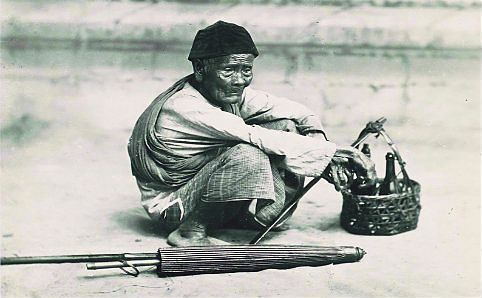 An old Malay medicine man. Image Courtesy of the Singapore National Museum, National Heritage Board. 13 Sep 2013: ‘Ilham Alam is inspiration – ilham – derived from nature – alam. Therefore, this exhibition examines ways in which various historical Malay communities harnessed nature’s bounty of flora and fauna to create both preventive and curative medicines. ‘The Malay Heritage Centre believes that ethno-medical practices are an important aspect of cultural identity and heritage through an individual or a community’s unique relationship with nature. Traditional Malay Medicine continues to be practised today by many Malays and non-Malays as it is easily accessible, affordable and its anecdotal efficacy is increasingly being scientifically tested with positive results. ‘This is evident in the case of Jamu, the Javanese herbal remedies, a multi-million dollar industry that has churned out numerous accolades and citations in modern Western medical and scientific research. Visitors will be able to see a beautifully preserved Javanese Botekan – a pyramidal set of drawers used to store the spices – at the show.